Yet today, as much as I love the spiritual space Zoe and I have created for ourselves and especially for me, I could see what a gift it is to go places. You get to see things you could not otherwise see. You get to smell things you would not otherwise smell. You get to experience acts of kindness, you otherwise would not experience. You get to experience God in ways you would not otherwise be able to do. Zoe’s cousin Pam is traveling the world, especially all the South American countries she has come to love. Every time she goes some place new I can imagine it is the same experience. You get to experience the Ultimate in ways you did not the day before. You get to smell aromas, breathe in things, hear sounds, taste, touch and experience moments which did not exist exactly like that where you came from. What are you seeing? What are you sensing? 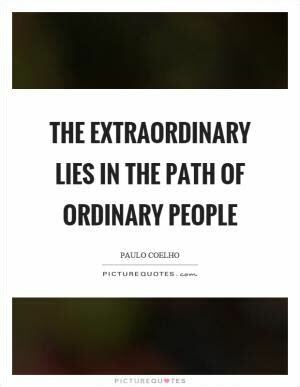 Are you experiencing the extraordinary in the ordinary? Take a moment, stop, and see the gifts you have been blessed with.